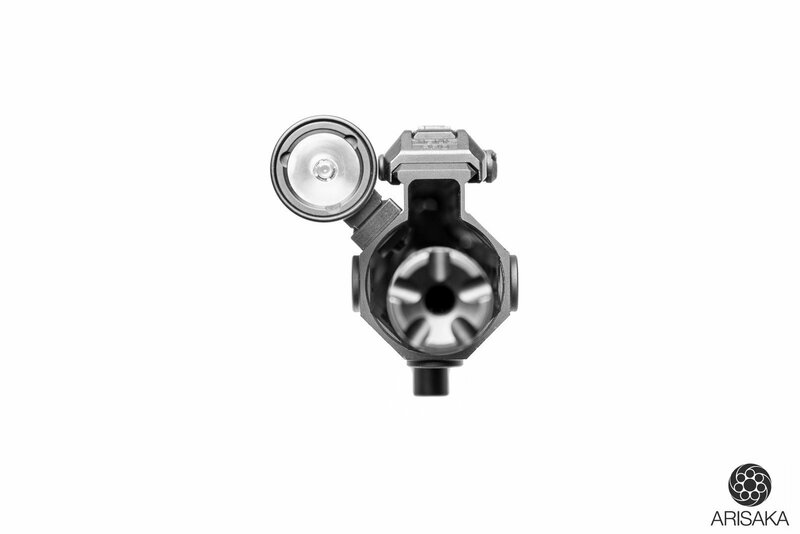 The Patented Arisaka Inline Scout Mount is designed specifically for the Surefire Scout Light M600 and M300 series weapon lights, the Arisaka 300 and 600 Series Lights, and the Streamlight Protac Rail Mount 1, 2 and HL-X. 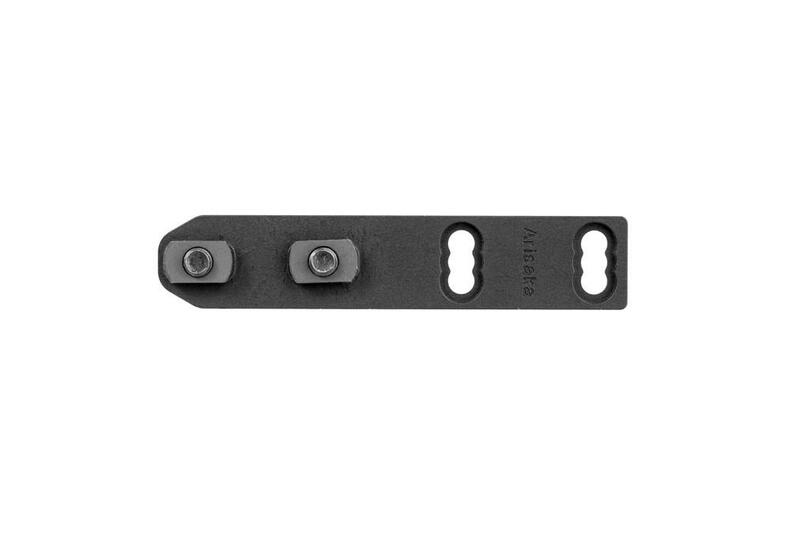 It replaces the stock Picatinny rail adapter with a low profile mount for M-Lok handguards. 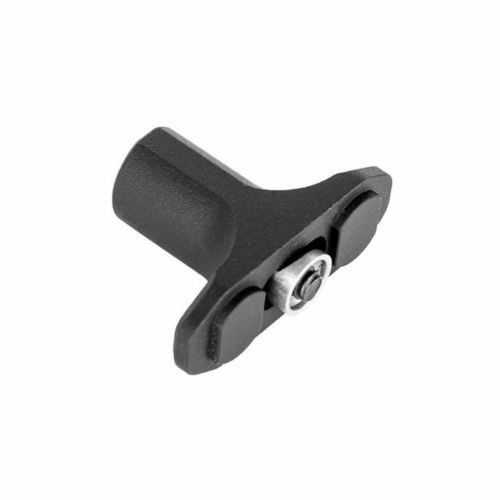 The mount is especially useful on handguards that feature 45 degree angle mounting flats, such as the BCM MCMR, Geissele Automatics SMR MK4 and MK8, Daniel Defense MFR, KAC URX4, ALG Defense EMR, MI Gen 3, Mega MML and Mega/Hodge Wedge Lock. 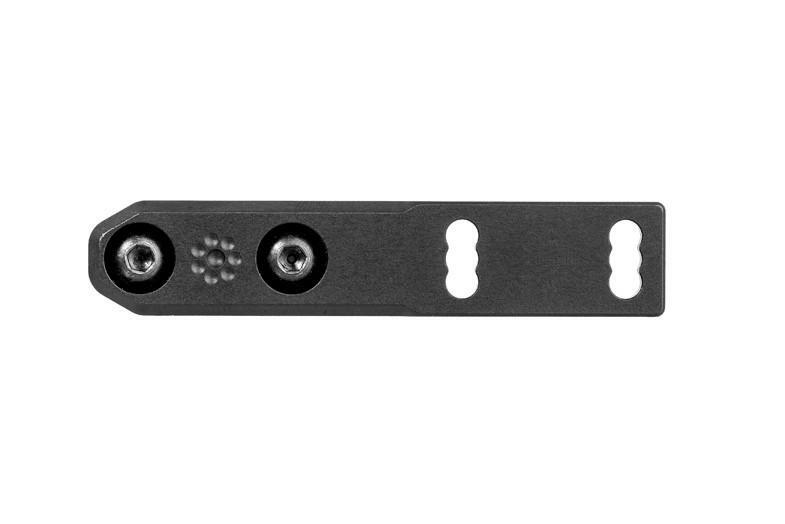 Includes necessary screws to attach light body to mount. 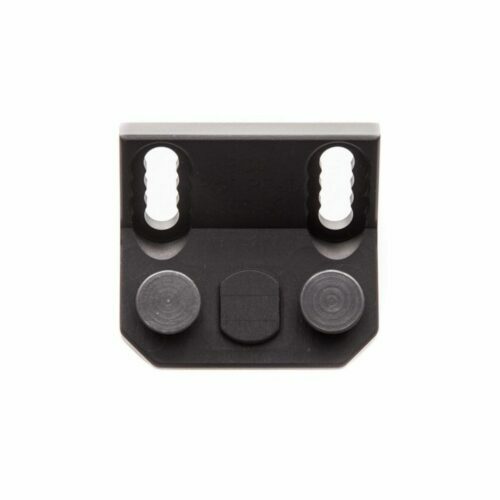 When used on a 45 degree angle mounting flat, the Inline Scout Mount allows the user to position the light closer or farther away from the top 12 o’clock rail to give clearance for front sights or other accessories. 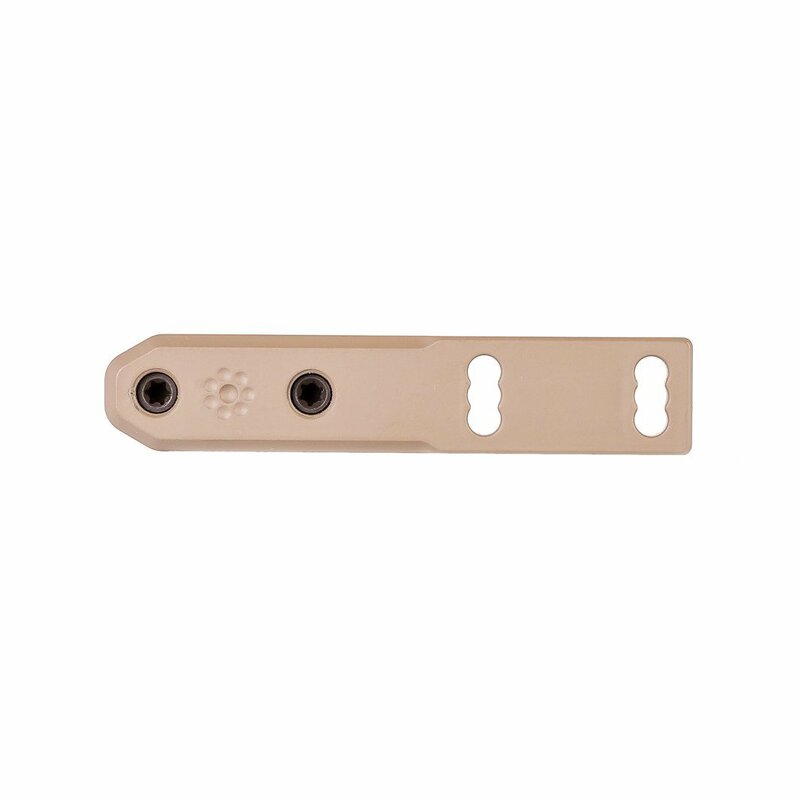 Three positions are provided, allowing an offset of 0.12″ to either side of center. 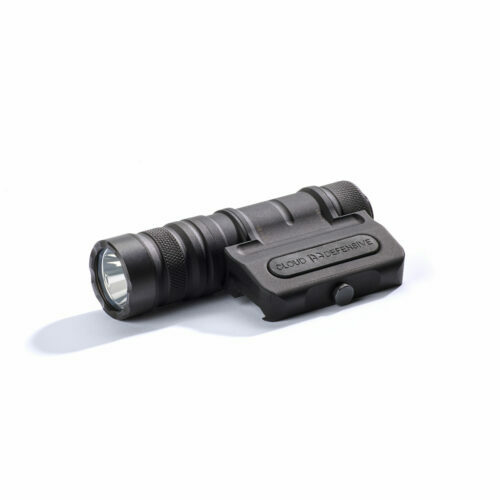 The base of the Surefire Scout Light sits only 0.2″ above the mounting surface. 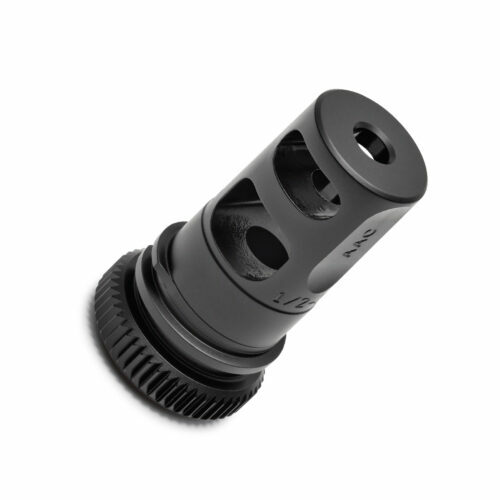 Installation tip: In order to reduce the overall length of the mount as much as possible, it is necessary to unscrew the tail cap of the light to access the front-most mounting screw. 1. 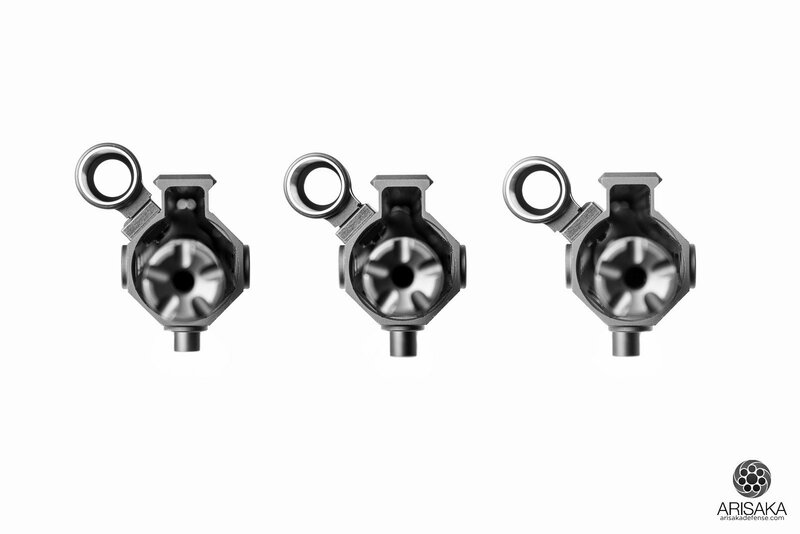 Top left 45 degree flat: Most sights work, including MBUS Pro, Knight’s Armament Micro, Troy folding, and Diamondhead. 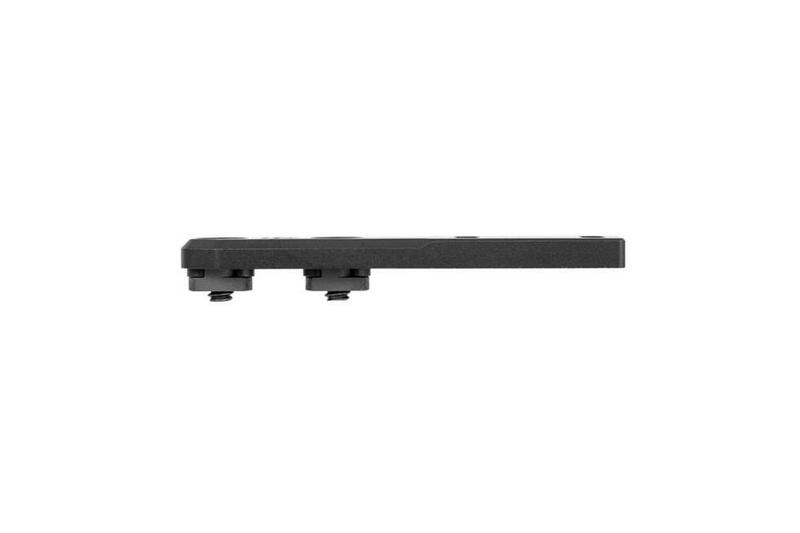 MBUS Gen II work if positioned to allow clearance for the release tab. 2. 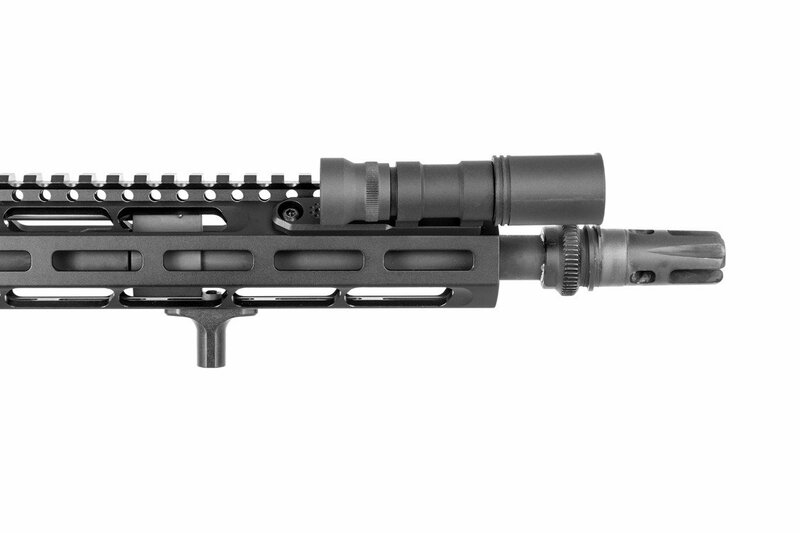 Top right 45 degree flat: Due to the asymmetrical body of the Surefire Scout Light, placement of the front sight and light are more critical in this setup. 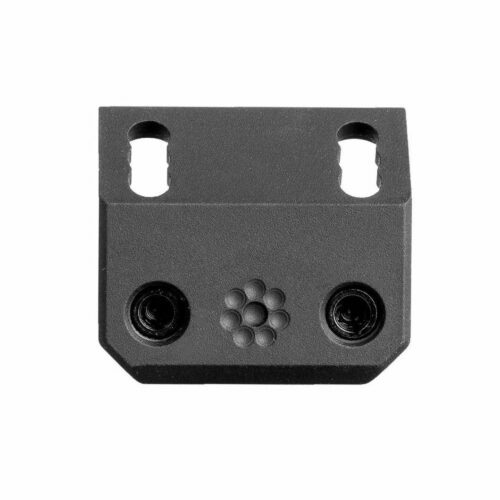 The smaller sights like MBUS Pro and Knight’s Armament Micro work fine, but the Troy, Diamondhead, and MBUS Gen II will not be able to clear the main body where the screw holes reside for the stock picatinny adapter. This means one or the other will have to be moved forward/back to get appropriate clearance. 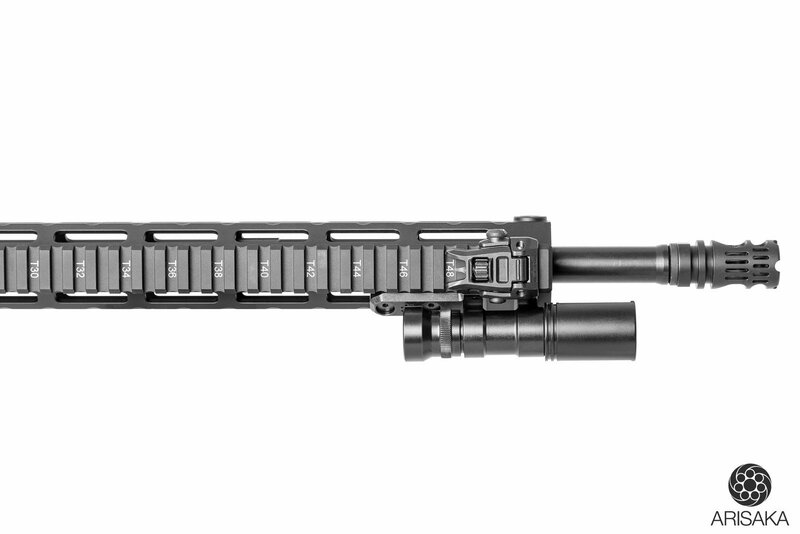 Another option is to use an Arisaka 300 Series Light Body or 600 Series Light Body, which will allow plenty of clearance. 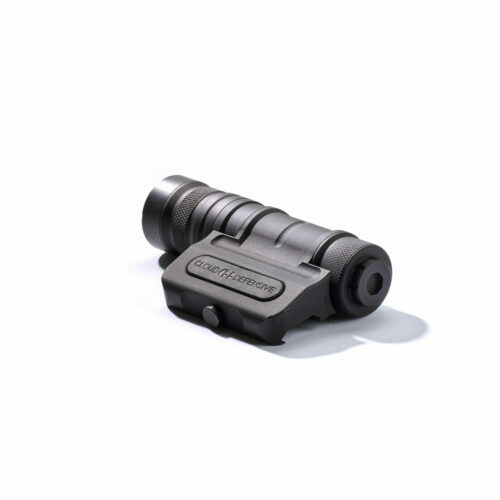 The Streamlight Protac Rail Mount HL-X requires a shortened 1/8″ Allen wrench to tighten the front mounting screw. 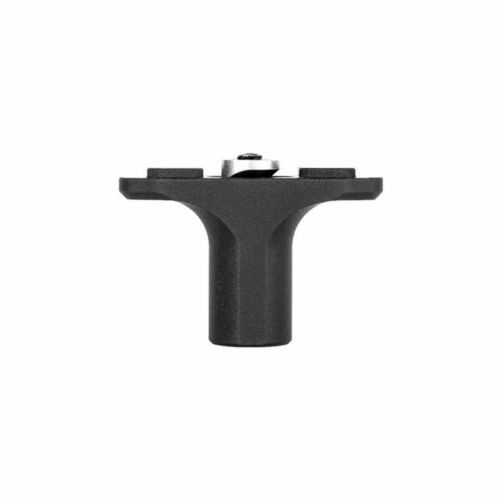 You can modify your own tool or add one to your inline scout mount above.